We have the honor of being an official member of the Dell Partner Direct Program for a number of years. Our IT ingenuity combined with Dell’s quality technology delivers proven technology solutions to our clients in Naples FL and surrounding areas. .
As a technology provider, we understand that we need to provide only the best solutions and products for our local clients, which will in turn offer the best chance of success. With our experience delivering quality technology to its users, the employees at Dell are, without a doubt, technology experts in their own right. Dell manufactures a diverse array of products geared toward boosting your productivity and we strive to be one of the top Dell resellers in the Naples FL area. With our team of consultants and Dell’s powerful solutions, you will be impressed of your technology performance. 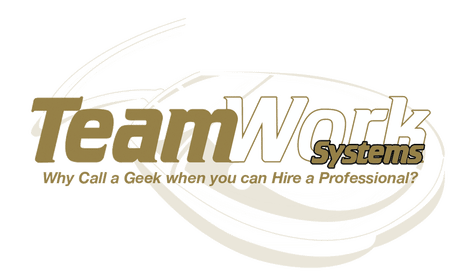 Make your dreams a reality with proven technology solutions from TeamWork Systems. At Dell, they create technology to allow users to realize their deepest and most-anticipated desires. They believe that technology is the key to making this happen, and at TeamWork Systems, we agree. We are a small Dell System Reseller provider for affordable technology solutions designed exclusively for clients in the Naples FL area. With the power of Dell’s hardware and software, and TeamWork Systems trusted team, you too can reach for the stars and achieve your goals. Call us at (239) 348-1500 and take the first step toward making your dreams a reality.